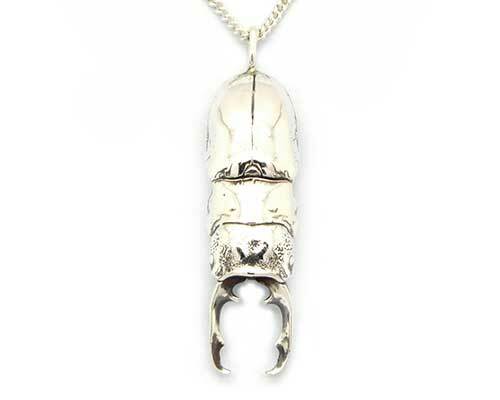 Handmade Silver Stag Beetle Necklace : LOVE2HAVE in the UK! A Stag beetle inspired sterling silver necklace. For lovers of creepy crawlies, this sterling silver pendant oozes expert designer detailing and a fantastic handmade quality together with an oxidised finish highlighting the texturing and intricate detailing to this particular piece. Incidentally, ancient Egyptian symbolism was connected to Stag beetles in that they were believed to represent the Egyptian god of midnight. 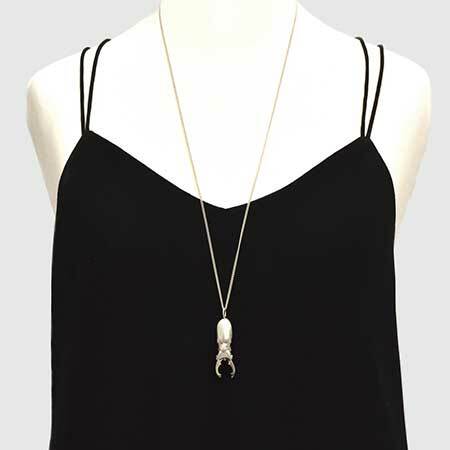 The Beetle size is approximately 38mm long x 12mm wide, and it comes with a 30-inch silver chain. Other lengths are available on request. Size(s) Available: 30 inches as standard.